Under Illinois law, injured workers have the right to file a workers’ compensation claim to seek medical coverage and wage loss benefits. Illinois has a no-fault workers’ compensation system. This means that an injured construction worker can obtain benefits, regardless of whether or not their employer’s wrongful actions contributed to their accident. Notably, Illinois workers are generally prohibited from filing a work injury lawsuit against their employer. The workers’ compensation insurance program is an injured construction worker’s sole remedy against their company. While injured workers may not be able to sue their employer, they can sue other responsible parties. Modern construction sites are extremely complex. There are often many different companies involved in the operations. If another company, property owner, or individual caused your construction accident through their recklessness or carelessness, you have the right to file a personal injury lawsuit. This type of personal injury lawsuit is often called a third-party liability claim. Here, our top-rated Chicago construction accident attorneys highlight four things that all construction workers need to know about third-party liability claims in Illinois. Injured Illinois construction workers have the right to seek workers’ compensation benefits and to file a third-party liability claim. You do not have to select one or the other. Benefits may eventually need to be offset in some form, but workers do not need to give up their right to seek workers’ compensation coverage in order to be able to pursue a third-party personal injury lawsuit. Unlike workers’ compensation claims, third-party claims are based on negligence. To hold a third party liable, whether it is another contractor, subcontractor, developer, manufacturer, or property owner, you will be required to prove that their negligence contributed to your accident. If you are successful, a third-party construction accident claim opens up the possibility that you will be able to recover additional financial compensation. Indeed, if you or your family member was severely injured or killed in a Chicago construction accident, a third-party liability lawsuit may open up a path for significantly more compensation than would be available through workers’ compensation insurance alone. Third-party construction accident lawsuits are subject to the Illinois personal injury statute of limitations. If you were hurt or a family member died in an Illinois construction accident, the best thing you can do to protect your rights is to consult with an experienced work injury attorney immediately. Were You Injured on a Construction Site in Cook County? We can help. At Mossing & Navarre, LLC, we represent injured Illinois construction workers in third-party liability lawsuits. To set up your free construction accident consultation, please contact our law firm today by calling (312) 262-6700. 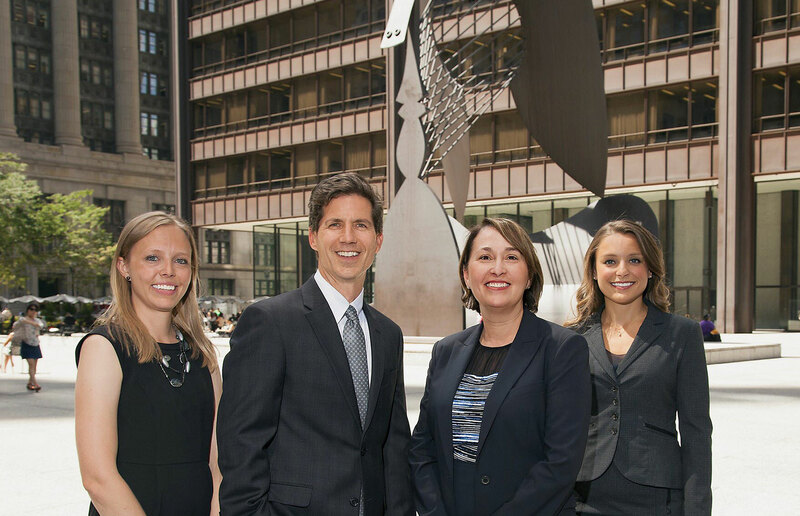 Our law office is located in the heart of Chicago, and we represent construction accident victims throughout Chicago and the surrounding suburbs.